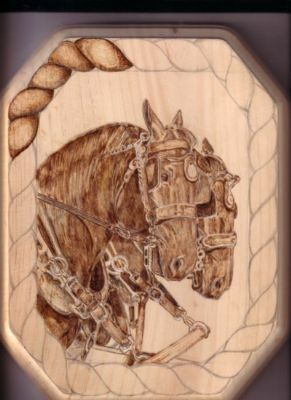 The neat thing about pyrography is that it is very portable. all you need is a burning unit, pens, and something to burn! 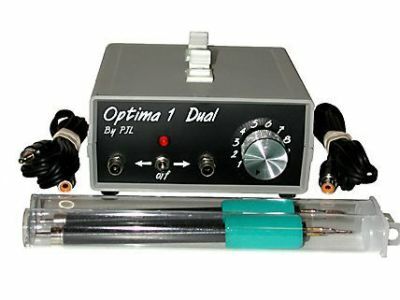 I like to use a temperature controlled dual pen burner by optima, but some really beautiful works have been done using a single temp. basic pen like the ones you get at Michael's craft stores! 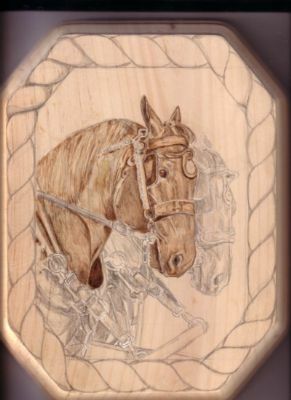 Once your shading is in, start deepening the shadows and adding detail . again, a light hand is what you need! I go back and forth from one area to the next, Remember to hold your pen lightly, and not press it into the wood, let the pen do the work. When you have the shading where you want it, you can use the skew to detail fine hairs, and darker, deeper lines. Lay the hairs in the same way you would if using a pencil, work light to dark. 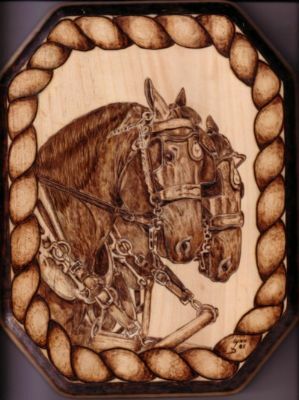 It is a good idea to have your practice wood handy, and practice curves, lines, hair etc before you add them to your pyrograph. 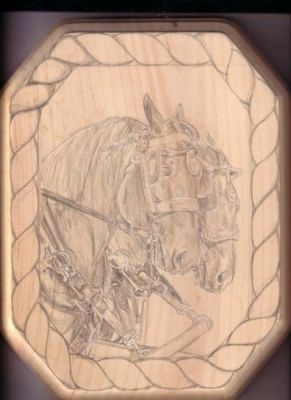 It is also easier to turn the wood as you are working instead of your hand, working around the pyrograph. Practice makes perfect, and don't get discouraged if in the middle of your pyrograph it doesn't look right, If you make a mistake, that's what sandpaper is for!